Roxy's owner is partially immobilized and could only drive around calling her name and asking other dog-walkers if they had seen his Roxy girl. CHARLOTTE, N.C. — Not all heroes wear capes. When Jason Gasparik found a lost dog in Charlotte on Friday he knew he had to do everything he could to find the sweet pup's owner. Gasparik did what most people do when they find a lost dog, he posted a photo of the dog to all social media platforms, pages and groups. He shared the photo on his Facebook page as well as a page for missing animals in Charlotte. Sadly, nothing. 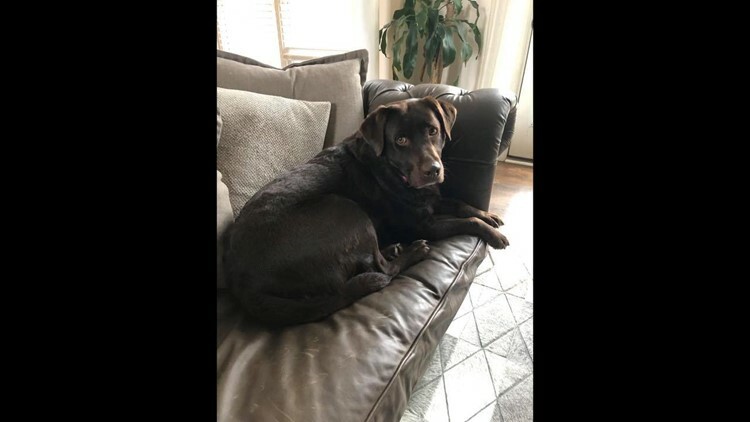 Gasparik said he knew someone missing their sweet brown lab and so he took his search to find the dog's owner one step further. He decided to take the pup to a street corner with a sign that read: "Do you know this lost dog??" After two days of standing on the street, Gasparik said he found the dog's owner! Gasparik told NBC Charlotte that the dog, named Roxy, had been missing since Thursday. He said her owner, Ed, is partially immobilized due to a severe back injury. He could only drive around calling her name and asking other dog-walkers if they had seen his Roxy girl. At around noontime on Sunday Gasparik received a message from a woman who had been following the social media posts on Facebook and Nextdoor, PawBooster.com and NBC Charlotte. Gasparik said Ed happened to see the woman walking her brown lab and stopped to ask if she had seen his lost Roxy girl. The woman recognized her from all of the social media posts from the past couple of days! Gasparik and Ed met up at the Stonecrest shopping center and he verified the breeder paperwork Ed had for Roxy as well as pictures of him and Roxy on their living room couch. "She was so excited to see Ed," Gasparik said. The photo of Gasparik is now circling all around social media, with many people praising him for going above and beyond for the dog. Gasparik found the lost pup near Ballantyne Commons Parkway and Ballantyne Trace Ct.
Gasparik said Roxy had a collar on when he found her and said she had a chip but was not registered.